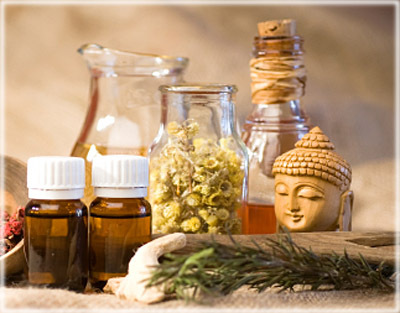 Ayurveda is the ancient medicine system of India. It is said to be the world’s oldest recorded system of healing. Ayur means ‘life?and veda means ‘knowledge or science?so put the two together and you have the ‘Science of Life? For example, did you ever overindulge in an area, be it food, work or even exercise? After a while, if you don’t check in with your body, it will tell you when it’s had enough. For instance, eating too fast is something my body had been telling me I needed to work on. At first I did not listen and started getting indigestion and even acid reflux. Then I began to eat slower, and in time, my problem disappeared. But as soon as I unmindfully started to chow down again, my body chimed in with the same symptoms saying, ‘hello?.remember me?? What signs has your body given you lately? This ancient system of healing is so fascinating to me and I will continue to study it throughout my life. Its concepts go very deep into the core of our being and encompasses every level including mental, physical, energetic, emotional and more. Now it’s time to learn about the Ayurvedic dynamic forces called doshas. These doshas, in Ayurvedic philosophy, are created by two of the five elements (ether, air, fire, water & earth) pairing up with each other. The three main doshas that are formed are Vata, Kapha and Pitta. There are also sub-doshas which happen when an individual has many of the qualities or characteristics of two doshas instead of just one. For instance, one could be Kapha-Pitta or Pitta-Vata. Are you fiery Pitta? A thin-boned anxious Vata? or a hard-to-get-moving-in-the-morning Kapha? Aromatherapy and essential oils can help to keep our doshas more balanced, but before we learn that, let’s take a look at what the heck a dosha is! These three doshas, Vata, Pitta, Kapha, are the categories, or body types in Ayurveda. Much like the three body types we have in the west, the ectomorph, mesomorph and endomorph, the three doshas each have their own, very unique characteristics. According to Ayurveda, we are born with all three doshas, but the amount of each dosha we have is unique to each of us and is determined when we are conceived. This specific combination of our doshas is called our ‘prakruti? - a Sanskrit term which means ‘nature. ?nbsp; This unique combination or ‘dance?between our three doshas determines our qualities and characteristics. It is said that when this ‘balanced dance?of our prakruti develops an imbalance, then signs and symptoms of dis-ease in the body and mind can manifest. Let’s look at the characteristics of the Vata dominant individual. Autumn is the season of Vata. Vata elements are air and space. Vata body types generally have dry skin, lips and hair. They tend to have a thin body frame and are often underweight. They have a hard time sleeping and often have cold hands and feet, thus Vatas love hot weather and dislike the cold. Vata types tend toward constipation and some suffer from fear and anxiety. They are restless, being a fast walker and talker, and are known to ‘multi-task?quite well. They usually have joints that crack easily and emotionally, can feel insecure. Vata individuals usually grasp information quickly, but forget it just as fast. They also have quick minds and are very creative giving them excellent imaginations. Vata individuals usually have a hard time with stability and commitment. However they are clear-minded and are sometimes even clairvoyant. ?Stay calm- try to discover ways to help you stay calm such as meditating, deep breathing, exercise, journaling etc. ?Keeping a regular routine will help Vata types stay balanced. Since Vata types in general are more dry and cold, they benefit from essential oils that are more warming and moisturizing. Also, grounding essential oils will help balance Vata types since air and space are their elements. Some of the best oils for balancing Vata excess are: Cinnamon, Black Pepper, Sage, Thyme, Oregano, Patchouli, Sandalwood, Rose, Cypress, Eucalyptus, Lemongrass, Anis, Ginger, Basil, Cardamom, Coriander, Tarragon, Lavender, Clary Sage and Roman Chamomile. Most carrier oils are good for Vata imbalance including sesame and hazelnut oil. You can make a Vata Balancing massage oil by choosing 1-3 essential oils from above and combining 30-50 drops total of your chosen essential oils with 4 ounces of a carrier oil of your choice. Then massage yourself daily with your massage oil (Abyanga is the Sanskrit term for massage). When we enter the cold, cloudy, heavy season of Winter, we enter the Kapha dosha season. Qualities of this dosha are slow, heavy, cold, damp, soft, smooth and viscous, just like the qualities of winter. The two of the five elements that represent the Kapha dosha are water and earth. Those who have predominantly Kapha qualities have strong muscles and large, heavy bones. They easily gain weight and have a hard time losing it. The digestion of a Kapha individual is slow and so is their metabolism. However, Kapha people have a tendency to be healthy and they have very good stamina. They may be slow to start something, but once they get going, their endurance is excellent. Their hair is thick and wavy and skin is thick, smooth and oily. Their eyes are large and attractive and they have large, white teeth. One of Kaphas downfalls is they have a sweet tooth. If they give in to the temptation of eating sweet, heavy foods, then they can gain weight very easily. Balanced Kaphas have long life spans, but if they do not keep the weight off, then ‘dis-ease?can creep in such as diabetes and high blood pressure. Kaphas will feel better eating lighter foods, staying away from salty, sweet and oily foods. Due to the qualities of Kapha, they have a harder time getting up in the morning. Their sleep patterns are usually long and deep. Because of this, it is best to rise before the sun to keep Kaphas in balance. Also, more vigorous exercise is good for the Kapha individual. Sinus congestion can also be an issue for this dosha as well as colds, sinus headaches and water retention. Kapha individuals have a loving and compassionate nature. When balanced, they are forgiving, peaceful, tolerant, loyal and patient. When not balanced, they can suffer from jealousy, greed, attachment and possessiveness. Since the natural qualities of the Kapha dosha are cold, moist and slow, essential oils that would best suit Kapha types are those that are warming, drying and stimulating. Here are some essential oils that would help to balance excess Kapha: Juniper berry, Orange, Lime, Ginger, Cumin, Basil, Cinnamon, Clove, Black pepper, Rose, Eucalyptus and Thyme. When we enter the summer season, we enter the season of Pitta. The two of the five elements that come together to form the Pitta force is water and fire. The qualities of this dosha are described as hot, light, sharp, fluid, soft and clear. Pitta governs the quality of transformation. If we have too much Pitta, this can cause hormonal imbalance, ulcers, anger, and irritated skin conditions. If we have too little Pitta, our metabolism can become sluggish, and we can experience indigestion and a cluttered, confused mind. Are you a fiery, passionate Pitta? Check out these characteristics of a Pitta individual below to see if any sound familiar to you. The Pitta body type is comparable to the Western, mesomorph body type. Their body frame is proportionate and they can gain and lose weight relatively easily. Their skin is usually sensitive, oily and warm to the touch. They are prone to acne and their skin can burn easily with moles and freckles being fairly common. Pitta types usually have blonde or reddish hair with sharp, penetrating eyes. Because they can be aggressive in nature, they love competition. Their memory is sharp and their speech can also be sharp and somewhat sarcastic. Pitta individuals can become angry and jealous when under stress. Their dreams are like their personality - fiery and passionate. If they become ill, Pitta individuals usually will experience fever, inflammation and infection. ?Choose cool foods and drinks; foods to choose are those that are sweet, bitter and astringent in taste. Since the qualities of Pitta are hot, light, sharp, and fluid (wet), essential oils that would help pacify Pitta are cooling, drying, calming and ones that dispel heat. Some of these essential oils are chamomile, lemon balm, peppermint, spearmint, yarrow, lemongrass, clary sage, lime, lavender, sandalwood, rose, tea tree and ylang ylang. Remember, we all are a combination of the three doshas: Vata, Pitta and Kapha and everyone’s life circumstances and geographic location are different which can affect this combination. Each season brings about different changes in our bodies and emotions. Being aware of these changes and taking the appropriate actions such as changing your food choices, exercise routines and essential oils can help ease the transition through the seasons and keep your dosha in balance. 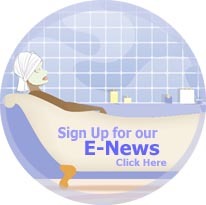 *This article is intended to give out information only, not replacing medical care. Always seek medical attention when starting a new diet or exercise program. Gina Rafkind is founder of VedaSun--using your senses as a pathway to presence. If you are ready to reawaken to your true inner being and know profound freedom and deep peace, then visit http://www.vedasun.com to sign up and get your free report, Break~Out, Be~Free. You will be inspired to start your journey of unleashing your vibrant inner self by implementing Gina's 4 empowering techniques. 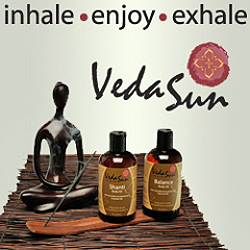 Plus, feel free to browse and discover VedaSun's naturally--sourced Aromatherapy skincare.